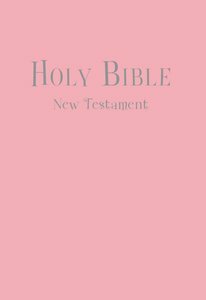 About "NIV Tiny Testament Bible Pink (Black Letter Edition)"
Including the complete New Testament text of the New International Version (NIV), the NIV Tiny Testament contains all sectional headings and translators' footnotes. Ideal gift for baptisms, christenings, and baby dedications. Expected to ship tomorrow from Australia.